Depth . 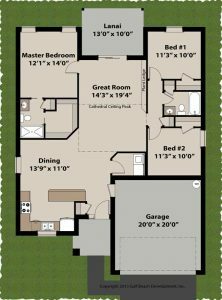 . . . . 56'-3"
Welcome to the Newberry house plan. 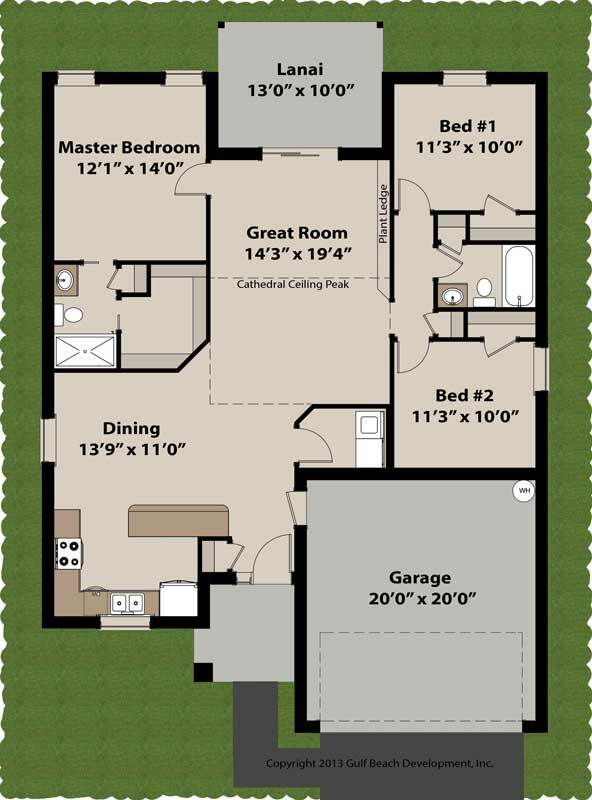 This split bedroom design has a very efficient use of space; at 1,431 living square feet you’re getting a full master suite with walk-in closets and a condition space laundry room. The front Kitchen allows for easy access when bring home groceries but yet is still open to the main part of the home. The optional Great Room cathedral ceiling allows additional height with angles making this room feel twice the size. 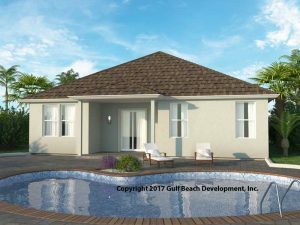 The large rear covered Lanai is located right off the great room and is sure to offer protection from those Florida hot summer days. The Master suite includes a full bath with custom tile shower and large walk-in closet. 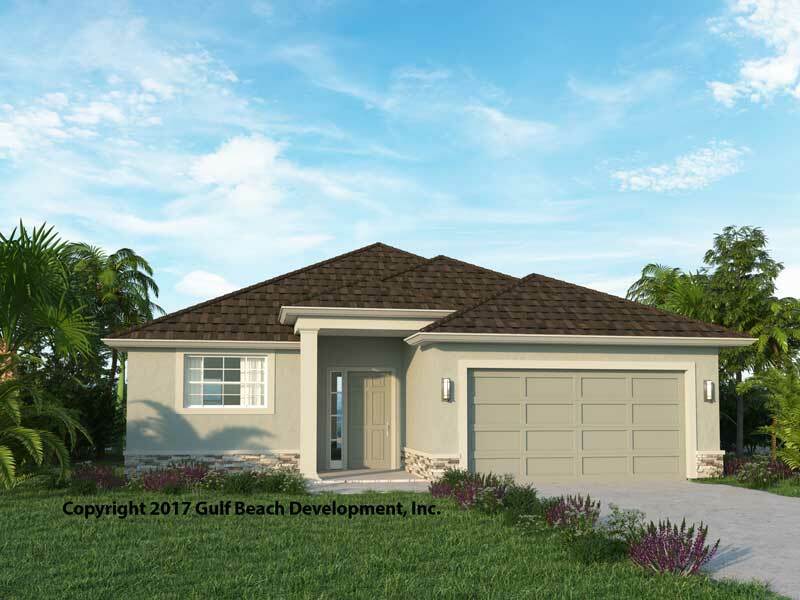 The exterior roof design is a pitched hip roof adding to the elegance and helping to reduce high wind resistance during storms. The exterior finish can be stucco or siding with many options for other features like stone, shutters or window accents. 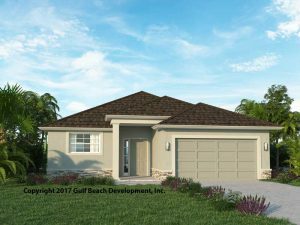 This house plan can be yours be reaching out to a local certified Gast Homes real estate agent and making your dream come true. Unlike older housing stock our plans offer better monthly energy savings, less maintenance and possible insurance and energy efficient rebates making it more affordable then existing homes.